Be prepared to see hip and trendy Seoulites flocking to downtown Seoul as Seoul Fashion Week returns with fall-winter 2016 collections from March 21-26. The biggest fashion event of the year will take place at two venues this season. The main venue is Dongdaemun Design Plaza and the other location is a former flour factory-turned hip fashion venue in Mullae-dong, Yeongdeungpo-gu. More than 60 shows and presentations will be held at the two sites with a few designers hosting their own shows throughout the city. The trade show part of the fashion week will be held at the former Daesun Flour factory in Mullae-dong. “On one hand, the 2016 fall-winter Seoul Fashion Week will have fashion shows that promote and market designer brands for local and international press. It will also have the trade show that actually creates business opportunities,” said Jung Ku-ho, director of SFW, at a press conference on Wednesday. DDP will host fall 2015 collections by more than 40 designer brands, with six of them newcomers in the main show category. 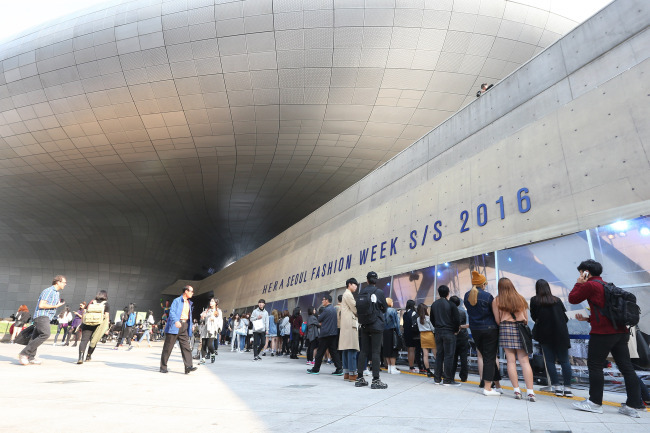 Seoul Fashion Week has relaxed its qualification requirements, allowing designers who have been running their brands for at least one year to join the main show. This season’s Generation Next shows for young designers will be held at the Mullae-dong venue. Some 27 designers will hold shows at the unique place, which Jung described as a location that showcases Seoul’s history. There will be a shuttle bus between DDP and the Generation Next show venue every 30 minutes. 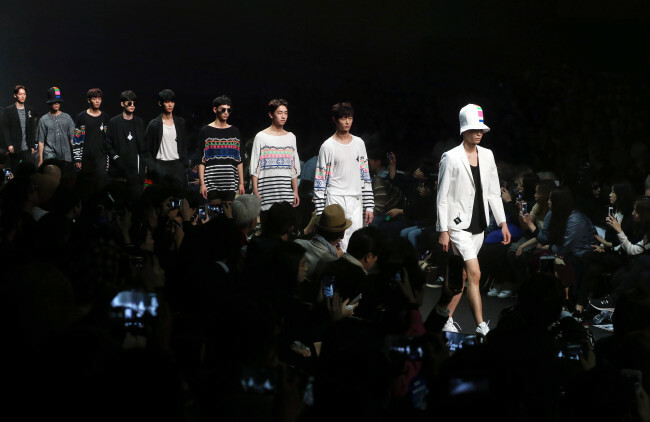 Major local and international buyers, including those from Barneys New York, Bergdorf Goodman, Saks Fifth Avenue and Printemps Department Store, are expected to attend Seoul Fashion Week. “Our main role is to promote our designers locally and globally. While other Asian fashion capitals have already pushed hard to promote their designers abroad, we seem to be far behind in such efforts. The trade show is a special venue that we made for our designers to have their brands known in the broader market and to create business deals,” said Jung. On March 26, the Mullae-dong venue will open to the general public and the participating designers’ clothes will be available for sale. Also on sale will be fashion items donated by models and celebrities. Designers will be on hand to offer styling tips as well. During the fashion week, there will also be a public seminar on March 23, in which 10 fashion mentors will offer advice for local designers and those who work in the fashion industry on how to build strategies to enter the global fashion market. The mentors include Simon Collins, former dean of Parsons School of Design, Mario Dell’Oglio, head of the Italian Chamber of Buyers, and Nathalie Cazeaud, CEO of MC2 Showroom. Meanwhile, the main outdoor plaza of DDP will be transformed into a big jewelry market during the fashion week.